Composed by Evelyn R. Larter. Christian, Sacred. Score. 6 pages. Published by Evelyn Larter Music (S0.209955). 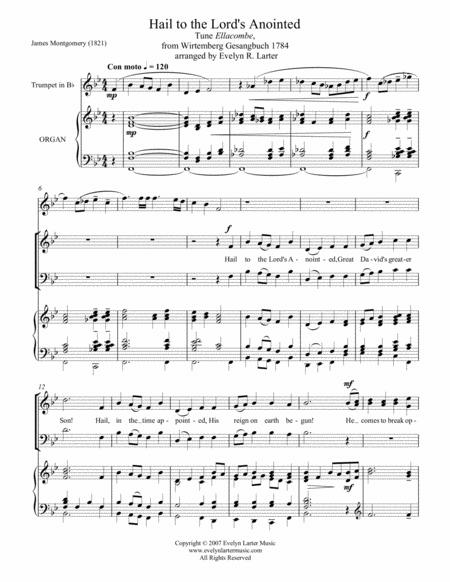 For SATB, trumpet and organ, this setting ofJames Montgomery's hymn came about when a fellow choir director asked if I hadany choral arrangements of this text to the tune Ellacombe. I offered torearrange my setting of the Palm Sunday hymn, Hosanna, Loud Hosanna to thistext, which fit the purpose exactly. The recording is of theoriginal text, (which is also available) but still provides an idea of thepiece. The addition of a trumpet adds to the impact of this setting, which isof moderate difficulty. 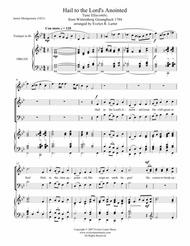 It is suitable for Advent and General Worship services.More information on my music may be found at www.evelynlartermusic.com and on myFacebook page for Evelyn Larter Music.